Palm leaf painting is a sacred art of Orissa and even to this date the use of palm leaves can be observed. The use of palm leaves earlier were witnessed as manuscripts where the palm leaves were used as writing materials. They were used to record the moments and traditional narratives and also to pass on the knowledge to the forthcoming generations. Palm leaf manuscript is one of the ancient medium of writing in India particularly in Southern India, the practice that has also led to the origination of exquisite Palm Leaf Painting of Orissa. The ancient art creators devised the writing on palm leaves to an art form for etching and painting. 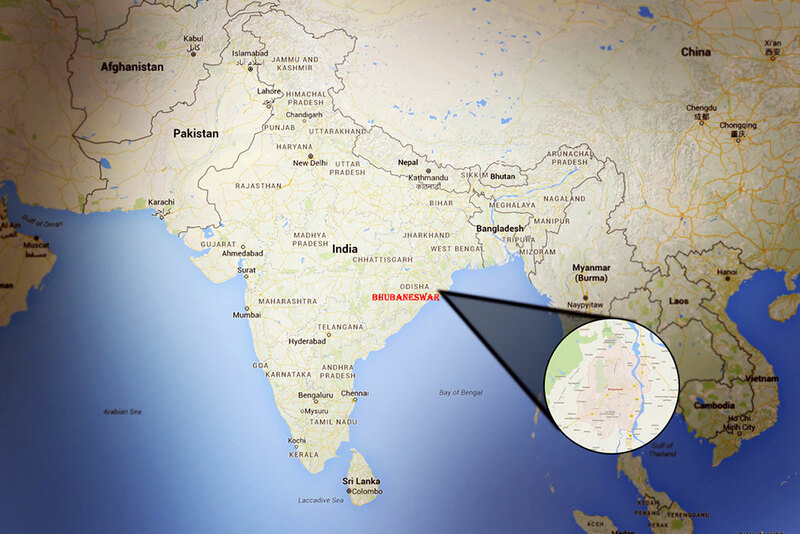 It is noted to have begun from the Odisha state that is also known as Orissa. The accurate start of this form of art is difficult to say. However, considering the mention of palm leaf in several literary works and its pictorial representation realized in several sculptures and monuments it is accounted to be the oldest. Benudhar Mohapatra is one of the known artist of Raghurajpur, Puri district, Orissa who is related with the art of painting on palm leaves that is also termed as ‘Talapatra chitra’ (tala-palm, patra-leaf, chitra-painting). The artist has carried this skill of painting on palm leaves from his ancestors and has won awards for executing marvelous work of Talapatra chitra. He has had the opportunity to train the methods of Talapatra chitra to the people who came from Delhi and Bombay and has also served his good years in Hastakala Paatli Prahishtana, Puri. 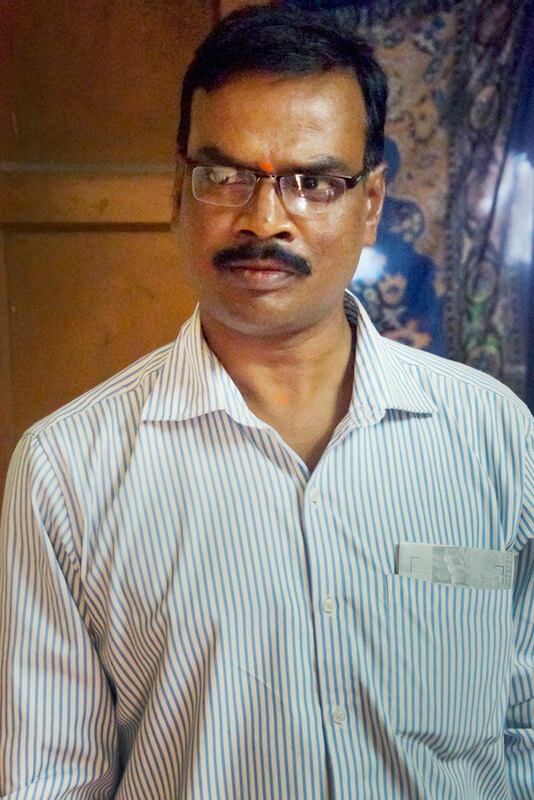 His son Arun Uday Mohapatra is a state awardee, who has graduated with diploma in stone carving. From a very young age he has been interested and in school has always stood first competing in painting contests by completing Talapatra chitra. Along with studies the son has carried forward the interests of painting. Currently he is well versed in the art and trains people, teachers and lecturers in drawing. In the language of Odia, this art form is spoken as Devakala. 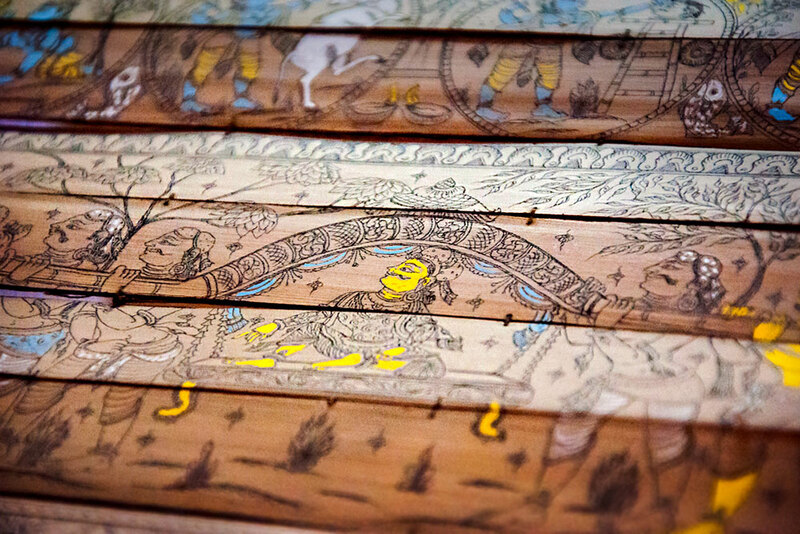 Orissa’s traditional stories are the inspirational stories that become the basic drawing on palm leaves. Mythological stories- Ramayana, Mahabharata and stories like Shiv Puran are depicted in the paintings. Even in these days at Orissa, with an advancement of printing press, Talapatra chitra is done for the Kundlis, Wedding cards, New Year cards, and others that are required on the special occasions. It is said that to have the palm leaves at home is very pious, it also considered as symbol of triumph, peace and everlasting life. The palm leaves are dried in the sun and soaked in water before beginning to use. Then it is treated with turmeric. The leaves are tied and etched that follows with coloring. There are five colors that are basically prepared, white, black and primary colors- red, blue and yellow, with this set of colors another set of secondary colors are obtained when needed. A sharp pointed tool helps in carving out the drawing and etch. There are various sizes of palm leaves and the thick palm leaves are supposed to be good to work on with less ruins. This art form has grown to gather a multitude of ideas, myths and stories to life with the engraving and use of color. Palm leaves are tied together with help of needle and thread in Zigzag folds which hold the drawings that are excellently etched. These Talapatra chitras hold wonderful stories depicted by artists of Orissa. The great epics Ramayana and Mahabharata are most chosen for the illustrations to work on the palm leaf painting. Stories of Gods and Goddesses are depicted with fine specifics of ornaments, animals, flowers, floral and elements of nature. The colors are prepared by the artists and no chemical is used. Seven artists from the place Puri have won President’s award for their fineness in patachitra and palm leaf painting, and Raghurajpur houses more than hundred traditional artisans most of them dedicated to Lord Jagannath engaged in painting walls and religious motifs.